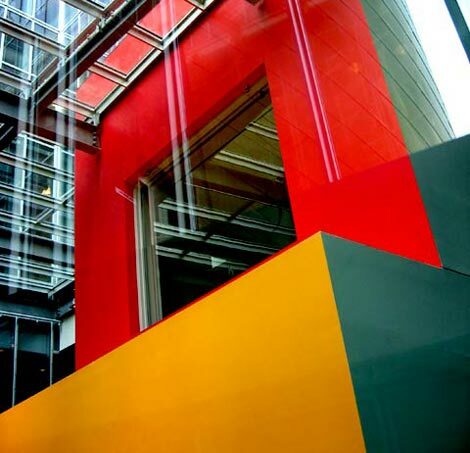 There are rumours that the Design Museum and the London design centre the Cox Review suggests were to be aligned - that this was why Alice Rawsthorn left. Let's forget rumours. They should be combined. Serviced office/shared studio facilities for creative companies. ... all but the last two would be present in the Design Museum's forward plan for sure. Adding in these networking facilities, drop-in business facilities, public access spaces, reference library (in the widest sense of the word) and so on would only add to the proposition. I'd be further inclined to ensure a focus on the digital networks that design now thrives upon. 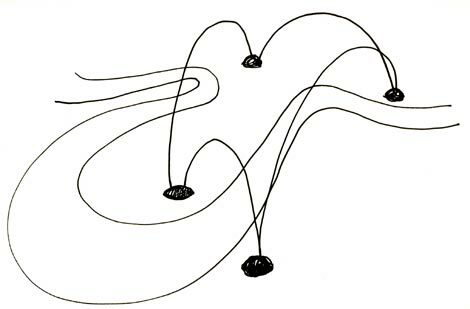 These physical nodes are nothing without a supportive and flexible digital network for design, providing online social and business spaces for designers. (The Design Museum's current website generally provides an example of what not to do, often ending up inadvertently ghettoising its content and function.) Using social software to create and support design networks - to provide for and support UK-based networks for design, situated within and blurred with the wider internet - could reinforce any such physical architecture projects. This in turn enables knowledge management, incubation, innovation, promotion, discussion and reflection. What would Cedric do? 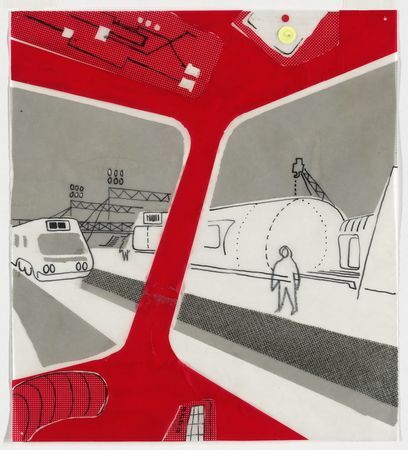 If we even look briefly at the inspirational work of Cedric Price, particularly as applied to educational establishments or industrial nodes or mixed-use workspaces, there are relevant un-realised ideas aplenty, for example in the the Potteries Thinkbelt or Fun Palace projects. Thus in terms of the idea of a building itself, I'd reject the idea of the "-opolis" as seen in Singapore and picked up in the report. We can create presence without lazily reverting to edifice complex. Following on from the supportive digital fabric suggested above, reacting to the ever-changing demands of the subject matter, and again drawing from Cedric Price and Archigram, we should look to a thoroughly adaptive building, comprising modular components which could be assembled, reconfigured or regrouped as the situation demands. 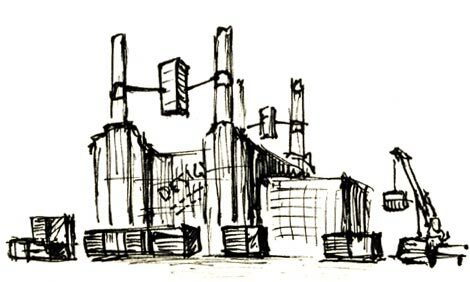 Perhaps even a connected network of buildings scattered throughout the city, just as design itself is. There are numerous sites ripe for redevelopment where such centres could exist. Again, the unrealised "anti-monument" of the Potteries Thinkbelt should be hugely relevant here. Even if the modular buildings could look as if they've just landed from space, where they land in the city is crucial. My experience of these things - from working in the Northern Quarter in Manchester in particular - suggest that binding such centres into existing cultures is fundamentally important. You then have the opportunity to extend these local cultures into the wider city, then the nation, then internationally. Again, a rooted yet scalable design network is key, which subsequently enables nodes to emerge. It would be nice to think that all such possibilities are still open, yet it seems odd that the Cox Review mentions that the minimum size of the London centre should be 80,000 sq. feet and the new Design Museum plans are priced at £50 million. Oddly specific, given the lack of detail elsewhere. In general, I'm not convinced that the proposals for the design centre are that thought-through yet, but the adaptability inherent in Price's - and Maynard's - ideas is one way of responding to this ... And another way is to fold them in with the potential of the Design Museum. In terms of curation, the tension in the last regime - and the first, under Bayley - will never be resolved and never should be. Design as subject matter is too broad to be pinned down; another pointer towards adaptability being key. So the argument between industrial design and graphic/fashion design, say, is ultimately meaningless. They can't be compared, and yet they're essentially the same. It's a slippery subject, and that is its attraction. It should veer excitedly from Brunel to Bass to Blahnik to Barcelona to Buckminster Fuller. The Design Museum should stand for this breadth of experience and influence. So the principle change of direction is not one of 'editorial direction', but of function - to merge completely with the London design centre the Cox Review proposes. Just wondering. Can anyone tell us about biologists interested in, or working within, architecture or engineering, or conversely architects, designers or engineers much influenced by biological process ... Janine Benyus springs to mind, and a few architects do too (e.g. Ken Yeung is close; thanks to Rob Annable for the tip. And there are many architects with work inspired by natural forms, but I'm looking for a deeper level of integration/realisation, ideally.). But not many. Following Pruned and BLDGBLOG will help, but any other ideas? Comments below much appreciated. "This exhibition places Transformation AGO within the past ten years of the architect’s career, featuring drawings, models and site photographs of recently completed projects, along with working models generated through the design of the transformed Gallery." Wandering around Barcelona over Christmas, I was much taken with La Ribera and El Born districts, which comprise a major part of the Old Town, or Ciutat Vella. With a history extending over a millennium, this is essentially the heart of the city. Or the stomach perhaps. Either way, there can be few examples of the medieval European city in such fully working order, still brimming with people, noise, smells, trade of all kinds. In fact, it makes no sense to describe it as 'medieval' at all, given the ease with which it also sits within the 21st century. It's capable of flexing form and fabric to accept change apparently effortlessly, providing a showcase for contemporary architecture dated 1328, 1500, 1870, 1908 or 2005. The density in Ciutat Vella is such that you almost feel contained within some kind of stone organism. You emerge into the neighbouring Eixample almost gasping for air, blinking in the light, breathing in the wide open 19th century boulevards. And yet, back towards the Mediterranean, we'll see that history suggests this tightly wound, virtually solid city space is almost as effective and adaptable as Cerdá's Eixample plan. The form of El Born is such that modular design solutions can be enabled by simply punching holes in blocks to enable sudden impromptu squares. One can almost imagine the skin healing over again given time, slowly filling these gaps with people and concrete ... until it's time to punch another hole somewhere else. As if each block truly is part of some greater, living whole. The built fabric in this part of the city is more like a membraneous, textured skin rather than streets, blocks or roads. 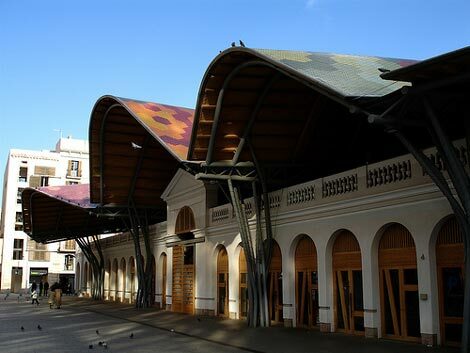 In fact, the form of some contemporary Spanish architecture, especially Miralles' Mercat Santa Caterina in between La Ribera and El Born, appears to (unconsciously?) echo these earlier constructions. Mercat Santa Caterina has a colourful skin stretched over tightly-packed individual plots within, almost as if it were a fractal suggestion of Ciutat Vella itself. 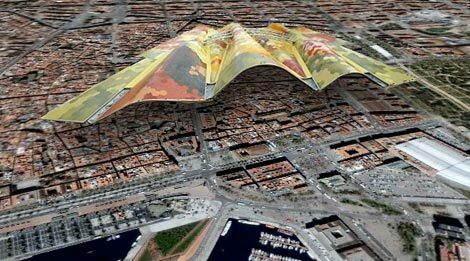 The density of El Born behind the market is such that it's not hard to imagine Miralles' reptilian roof continuing to stretch and sweep overhead, occasionally punctured to let light and space in but ultimately re-forming to ensure this part of the city is preserved into the future. Not untouched by change, but adapting organically to it. Interesting stuff from our R&D team - aka Tristan Ferne - automatically produced radio signatures for BBC radio networks, using the iTunes signature maker. "I have a directory for each radio station on a particular day with an MP3 file for each programme and I run the application over this. Each random chunk is then cross-faded into the next one in the same order as the programmes were broadcast. This gives a 1-minute signature file per day per radio station, hopefully representing what went on that day..."
Laden with issues, editorial and technical, which Tristan explores further in his blog post. We're not quite sure how, or indeed if, to deploy them yet - though we do have a set of potential locations and functions in mind. Interesting either way. "The Old Bailey Proceedings Online makes available a fully searchable, digitised collection of all surviving editions of the Old Bailey Proceedings from 1674 to 1834. It allows access to 100,000 trials, free of charge for non-commercial use. In addition to the text, accessible through both keyword and structured searching, this website provides digital images of the 60,000 original pages of the Proceedings ..."
"Here was expectation of the Tryal of a Midwife for taking up a Childe out of its Grave, &c. but for some reasons it was put off. Also a horrid murder was in Easter week committed in the Hay-market by Charing-cross, where a Hackney-Coachman falling out with his Wife about their Horses going to work, in his devilish fury got up a Fire fork, and therewith stabb'd her into the head and several parts of the body, of which wounds, after neer a weeks languishing, she died, and by the Coroners Inquest on the 26th instant it was found wilful Murther; but the Husband immediately after the blows given, made his escape, and is not since heard of. There were in all Nine persons, Six men and Three women, Condemn'd; Nine Burn'd in the Hand; and Six, for petty Larceny, to be Whip'd at the Carts Tayl." Fascinating day yesterday at an internal BBC event for the new media community (called 'Digital Futures', following a similar event last year), in which we pulled in a few external speakers to provoke discussion around user experience design. I'm afraid I missed Ron Pompei's presentation, which I'm very sorry about (phone call from the boss to handle). Apparently it was good though. Matt Webb hacked his Mind Hacks into new shapes. Dan and Adrian Hon gave a fascinating talk around their Perplex City alternate reality game, of which I am in awe at the sheer scale of the operation. Natalie Jeremijenko foregrounded the ethical aspects of interaction design, drawing on feral robot geese accordingly, and Jeff Veen of Adaptive Path picked over Web 2.0, of which more below. But well done to the fabulous Max Gadney and his colleagues on NM Design Forum for sorting it - a really useful day, which provided a cogent summary of current issues, somehow wide-ranging and related at one and the same time. It will have inspired many in the team to produce higher quality interactive experiences for public service. Which is A Good Thing. The question left buzzing around my head at the end of the day was the following one, which I asked to Jeff Veen. Like most designers, I have bundles of old magazines littering the place up—'50s 'Life'; '60s 'Punch'; copies of the 'The Face', 'The Wire' and 'iD' from the early '80s, some early 'Neo2s' from the '90s, etc and so on. Leafing through a copy of 'New Scientist' from 1964, so old that the staples had corroded and vanished leaving only ferrous brown smears, I chanced upon the following article. Written by D. F. Walker of Ferranti Limited, "How the computer can help the designer" was surrounded by other pieces asking "What price cosmic conversation?" or taking us through "The cephalosporin story", and further surrounded by the glorious period context of the adverts. These give a sense of a British manufacturing industry still in full bloom, the sheer technical power of an empire still present at background trace levels, such as in the central London addresses for companies now long gone. But between the lines, or rather between the classifieds, it's also possible to detect change afoot e.g. several adverts indicating increased scientific emigration to Australia (perhaps Britain's human supply chain there describes a vanishing point of empire - from transportation society to information society in 100 years). Other adverts can now be re-contextualised as inadvertent pop-poetry: "People who shape society ready New Society" or "At Halewood, building 2 Corsairs every minute ... FORD KEEP ON SCHEDULE WITH COVENTRY CLIMAX FORK LIFT TRUCKS. Telephone Coventry 28481". However, nostalgia ain't what it used to be. Of genuine interest 40 years later remains Walker's article. I've scanned the whole thing in for you to read below.